We put up with it on a desktop but can you imagine what an absolute nightmare it would be to have to log into your email provider’s mobile website to view your inbox and send each and every email? Especially if you’re one of those people who can’t leave their device alone for more than a minute without checking for new messages. While forced to create an account, not every Android user has to use Gmail as their email weapon of choice but it’s still one of the most popular email services in the world due to its convenience and reliability. 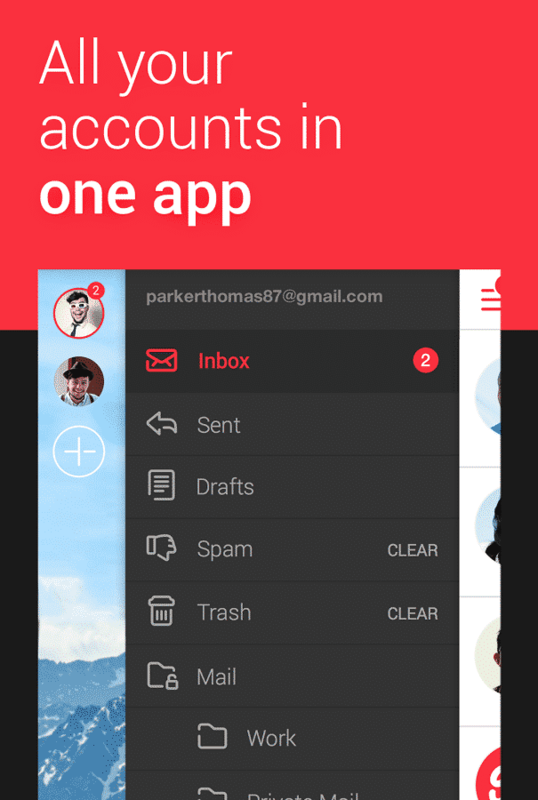 And the app doesn’t stay far behind its desktop cousin; with complete Google Drive and multiple account support (Gmail and IMAP included) plus a unified inbox. 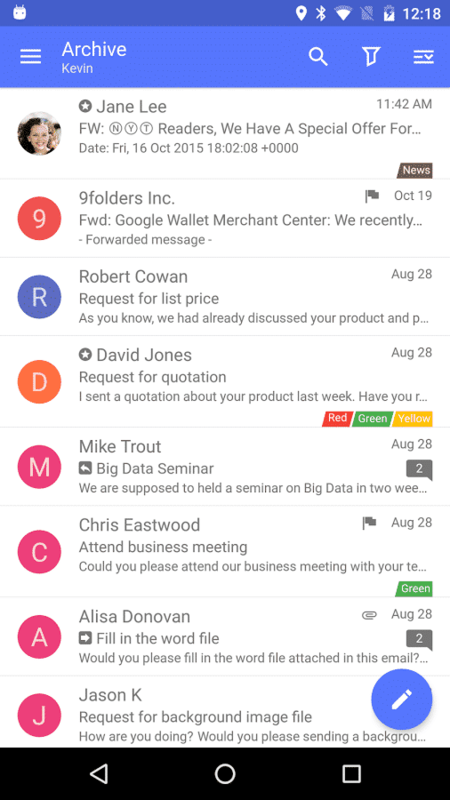 Moreover, thanks to Google’s latest design enhancements, it looks really clean, which is perfect if you already use your @gmail.com email address a lot anyway and want a simple, convenient, and powerful solution to manage your emails. 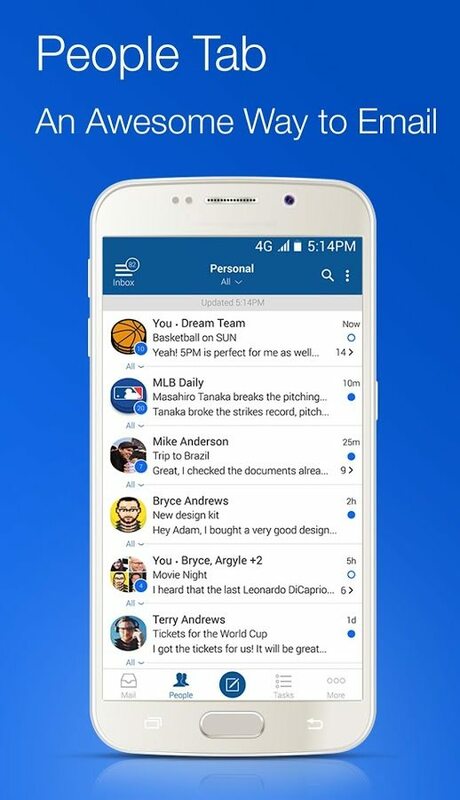 The history of this app dates back to 2014, when Microsoft laid its hands on Accompli, and after rebranding and making some in-app changes, turned it into Outlook. Microsoft’s app is a really useful and commanding email tool. You can manage your emails and attachments easily and access contacts lists and calendars with a single swipe of your digit. It might not support all email providers but works great with Exchange, Outlook.com, Yahoo Mail, Gmail, iCloud, and Office 365 email accounts. If you receive a lot of emails every day, the app will analyse your ongoing communication to bring the most important conversations to the top. 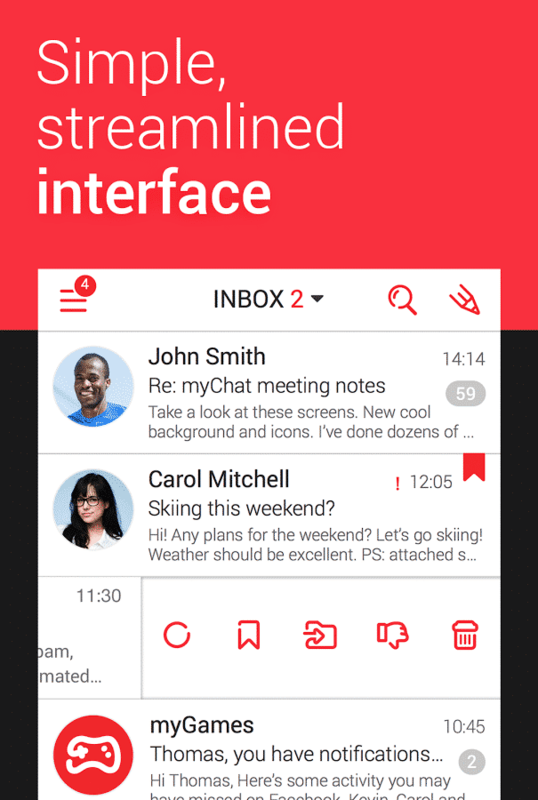 The only drawback Android users will notice with this app is that it’s rather sluggish compared to Google’s native app as well as many other email applications. 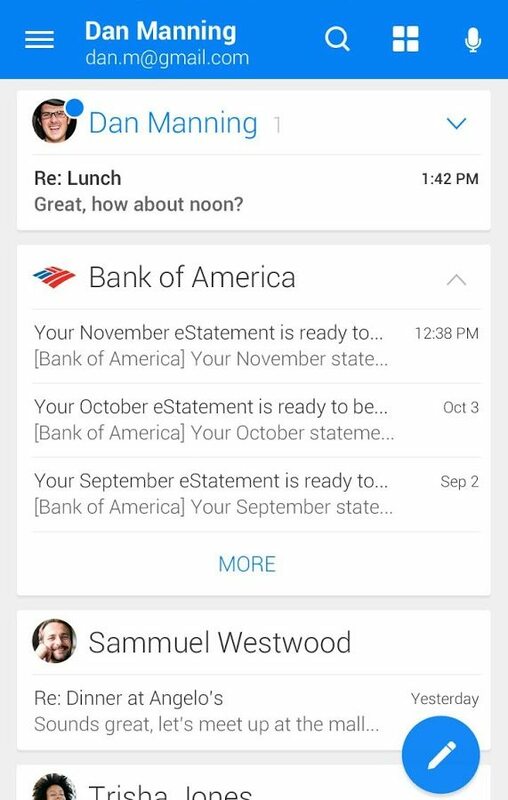 Inbox brings functions to life that could be seen as cluttering or unnecessary in the standard Gmail app. At the core of Inbox lies the idea of organising everything so that the experience of checking email is as swift and as personalised as possible. It also scans your emails and gives you popups when the most important ones arrive. For similar emails the developers prepared a ‘bundle’ option, where all related emails get bundled together so that you can go through them all at once without distracting yourself with other messages. 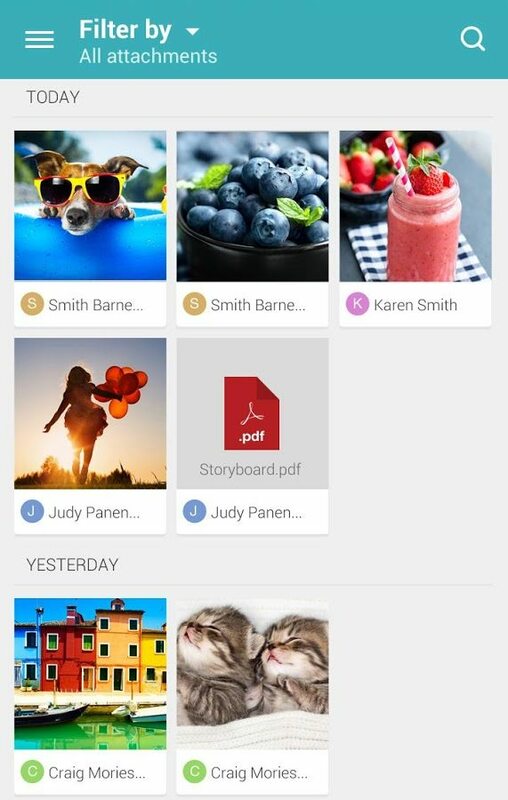 With a few other equally clever features, Inbox is perfect for anyone who loves being organised. Although setting up Inbox takes a while, it’s really worth the effort to master it. CloudMagic is quite the robust email solution. Not only does it support almost any email client, from major online email service providers to any IMAP or POP3 business account, but it can also be connected to many other niche services including Dropbox or Evernote, and even hook it up to the Android Wear range of wearable tech. 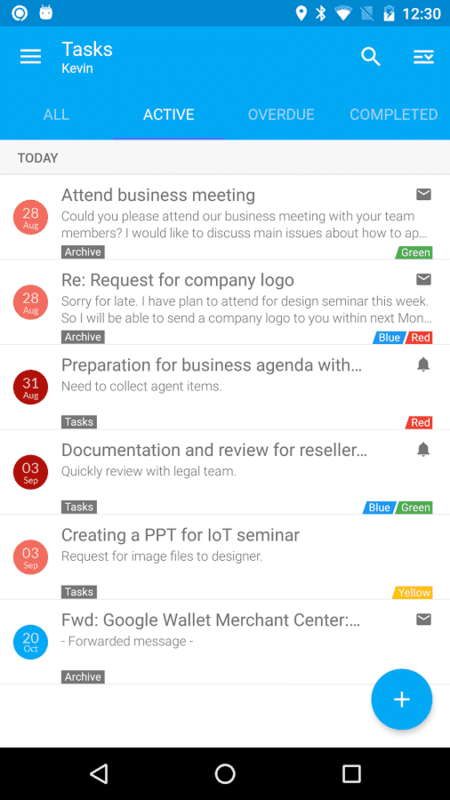 The design of the app is very clear and, despite being loaded with features, is easy to navigate thanks to the simple colour coding that makes finding emails and documents easier than other apps. CloudMagic is a good solution if you’re looking for a basic email client with a clean and easy to navigate interface. The first thought that comes to mind when you play around with this app is how beautiful it is; almost as if it was created by Sir Jonathan Ive himself. Not only is the design great but the whole menu is created in a very instinctive way for idiot-proof accessibility. It also comes with great additional features that make this app great for writing a to-do list and setting up alerts and alarms. It also supports many different email providers, including Gmail, Google Apps, Office 365, Hotmail, Mail.ru, AOL, Zoho, GMX and any other IMAP accounts – even the ones set up on your own server. Type Mail is just the thing for scatterbrains who tend to forget about emails and doing things in general. The only drawback? Make sure you have a long lasting phone battery. 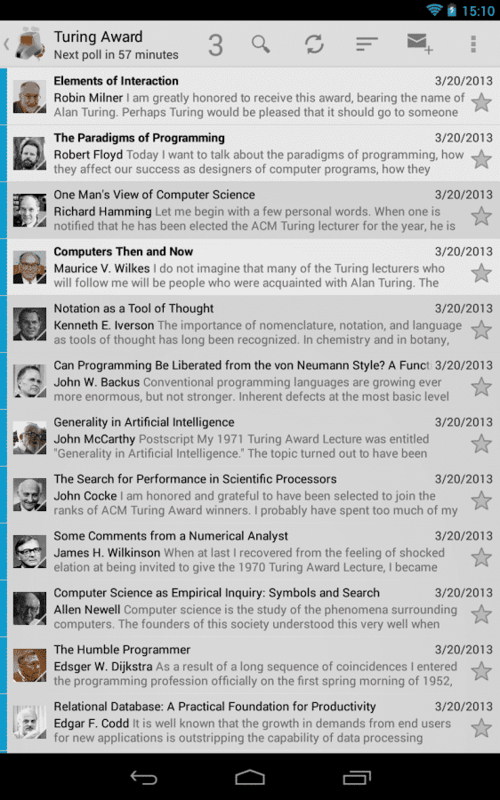 WeMail tries to reinvent the way that email apps should look. Instead of showing you messages in boring old chronological order, it presents them to you in a chat-like manner, giving you the illusion of using a messenger. Even replying resembles the experience of IM clients. Apart from a really slick and clean design, WeMail boasts one of the fastest and most reliable email search scripts of any other clients as well as great email compression. The app also likes to blow its own trumpet by reminding you how much time it saved you by grouping your emails the way it does. 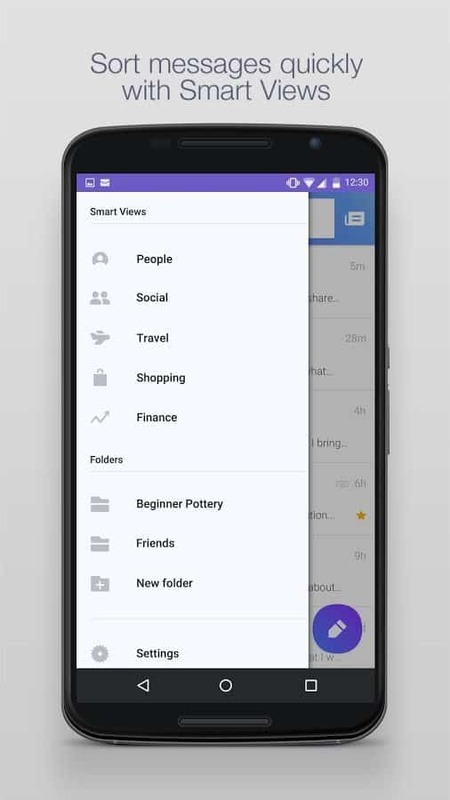 Another big name on the list, the email application from Yahoo tries to combine the idea of an email app together with a news service as you can literally read the news and check your emails simultaneously. It can be a bit distracting for some people, but Yahoo fans should prefer this association with the desktop version. It’s very easy to use and combines accessibility with all the most basic email features an average user may need. Its only downside is that it only supports Yahoo emails – but if you happen to have an email registered with Yahoo, give it a try as it’s a really convenient email app, especially for those who like to stay updated with the latest gossip. 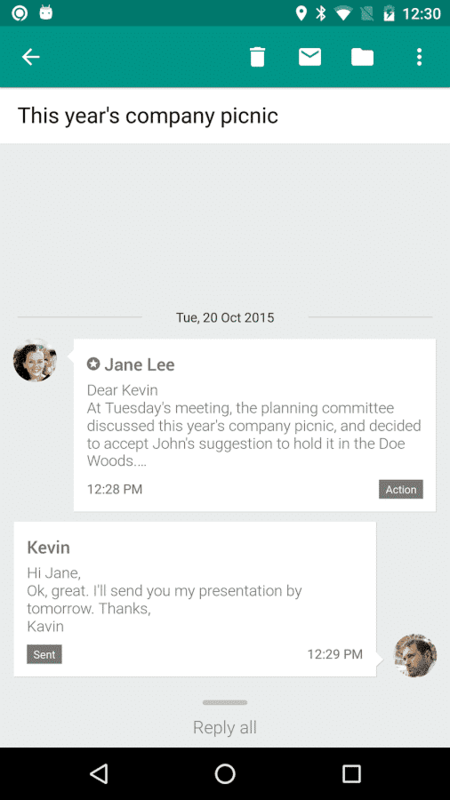 Quite similar to Microsoft Outlook, Nine offers a bit more customisation for its users. It gives a great experience via the interface, which is very clean and doesn’t get cluttered – even after customising it to your needs. To secure your emails, it can integrate with your fingerprint lock. Although it’s primarily aimed at Exchange users, you can use it with other email servers as well. After a few tweaks it can be the real deal, and with tasks sync, it’s easy to turn it into a handy mobile organiser. 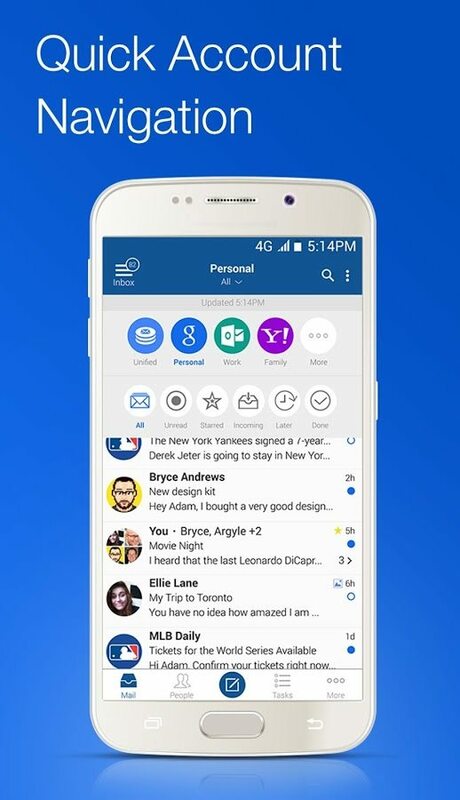 The main focus of the myMail app is making it mobile friendly and practical. It supports all of the IMAP and POP3 email accounts, making it a perfect choice if you use more than one email provider including Outlook, Live, Gmail, and Yahoo but excluding Exchange emails so if you have one check out the Nine app listed above and install it instead. Thanks to the ease of use it’s a great choice for people who need to manage a ton of emails, even if you have never used a similar app before. The variety of notification controls only adds to its usefulness. 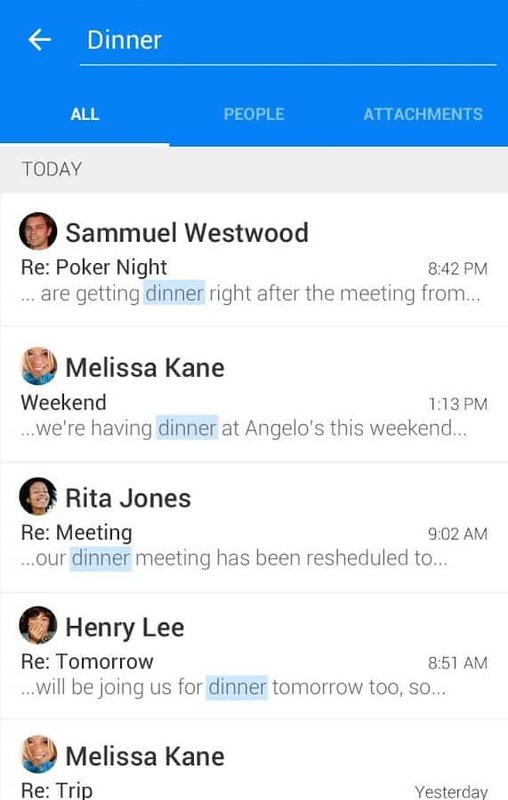 No wonder it’s now one of the most popular alternatives to the big native email apps. 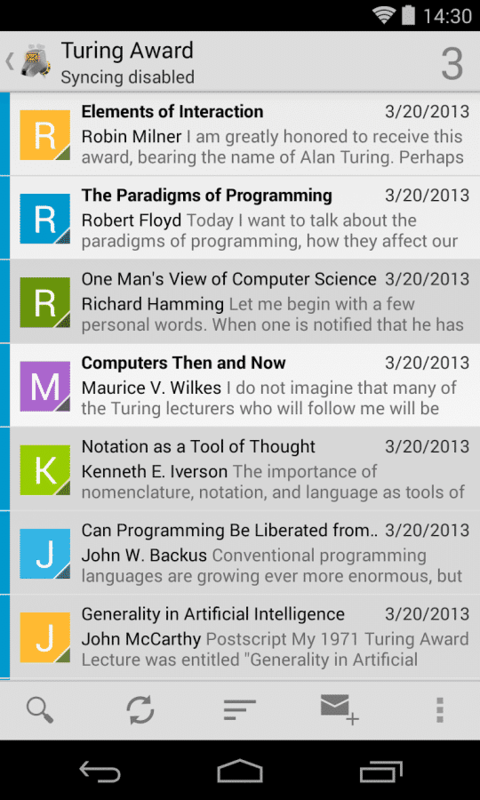 K-9 Mail is one of the oldest Android email apps still active today. Over the years, it has gained a lot of fans that have never left it for any of the more modern and advanced email client apps. At first glance, it may seem old as its interface is quite minimalistic but this makes it manageable and saves your battery power for Angry Birds and other vital tasks. 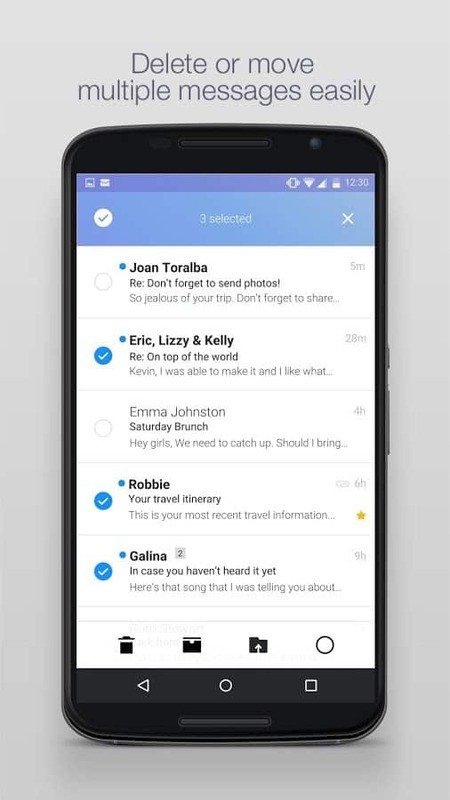 The core set of features makes it perfect for those who want to use the app to check emails and make sure none of them get lost. 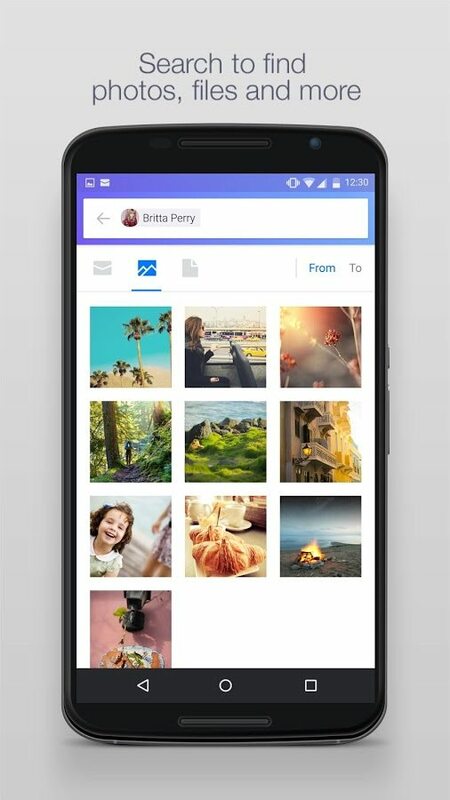 As an open-source app, you’ll get a kick out the fact that you can tweak K-9 Mail heavily if you’re savvy about Android app development and coding. Boxer allows you to connect Outlook, Yahoo, Exchange, Hotmail, Gmail, Office 365 as well as IMAP and POP3 accounts. Unfortunately just like with many other apps, using more than one email account with it requires purchasing a premium version. 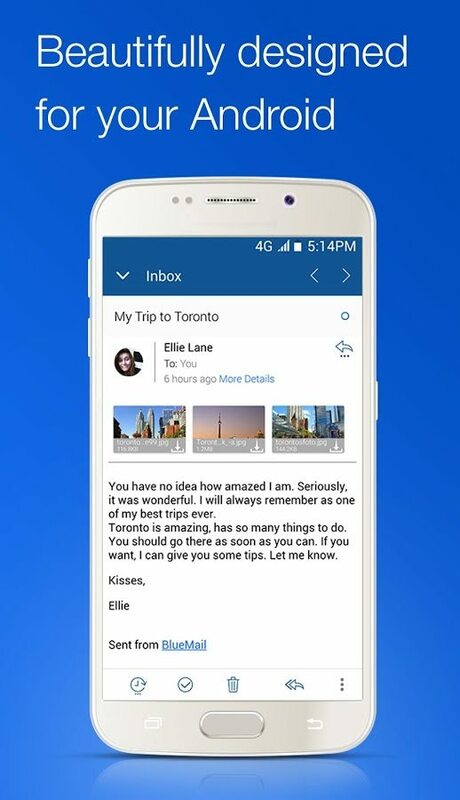 But apart from the wide range of emails you can connect to, the app looks really good and is considered by many to be one of the most beautiful Android email clients around. It also integrates Evernote and to-do lists, allowing you to organise more than just your email. If you are going to invest into a premium app, Boxer might be one of the handiest and best looking of the contenders in this list. We hope our best email client list above has finally answered your most pressing questions about which apps offer straightforward email management and which ones may be too bloated and buggy for your needs. Whether you’re a graduate of the old school and like elementary access to your emails or an Android guru ready to get stuck into backend coding and extra functionality, we’d like to hear from you.